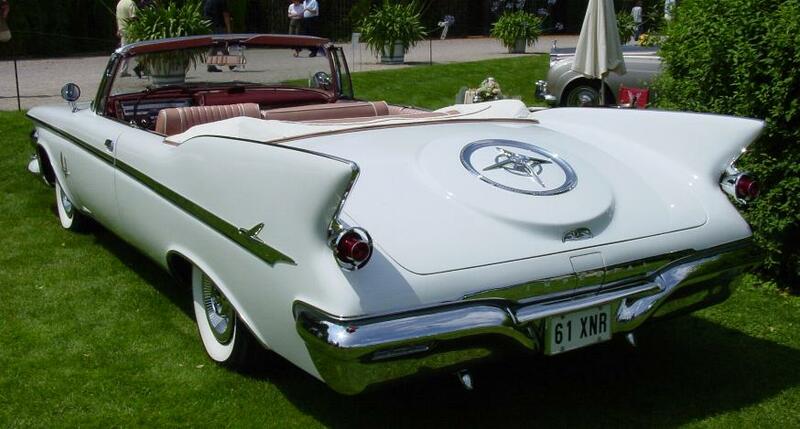 At the 2003 European Concours at Schwetzingen I saw this interesting looking package. 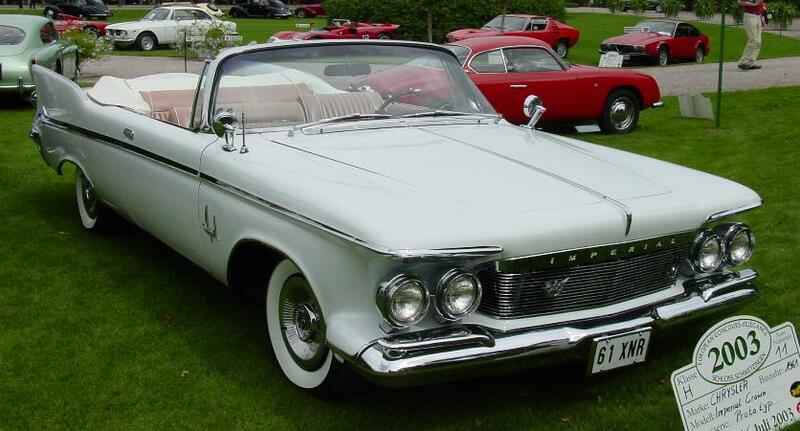 It is a beautiful example for a Chrysler, designed by Virgil M. Exner. produced on October 3rd, 1960. 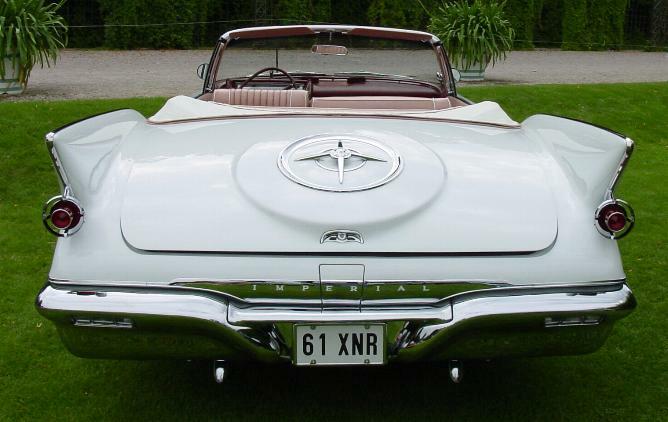 The Shriner Association, a caritative organisation, ordered 23 cars of a special color combination. than they drove back to Omaha, Nebraska, where the central office was located. Later, all cars toured through the United States to raise money for the foundation. 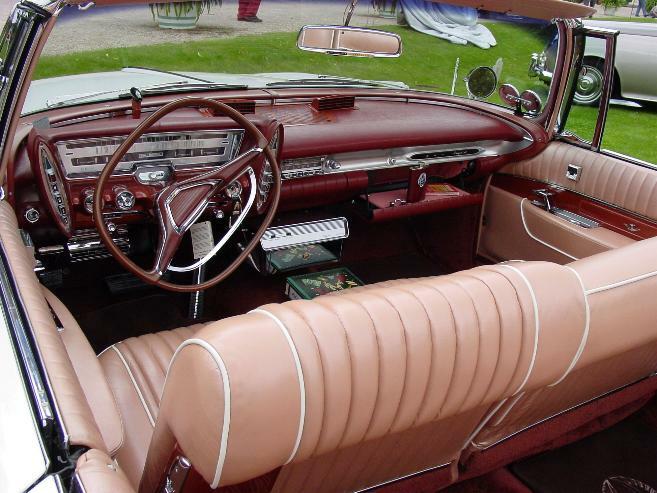 combined with a salmon-pink interior. during four years, he restored the car to top-condition. 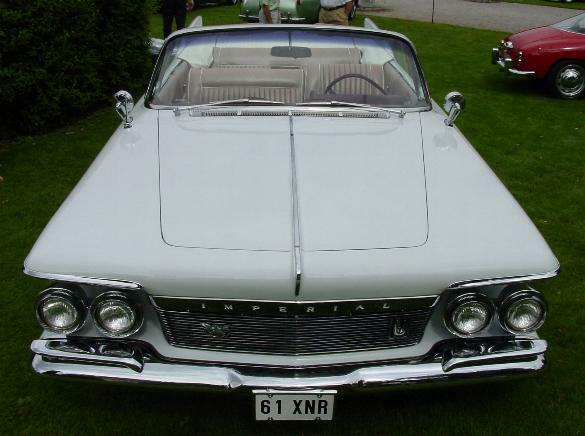 At Schwetzingen, the car got the Award for "The Most Elegant American Car".